I thought this was an Onion article at first, but it's not. 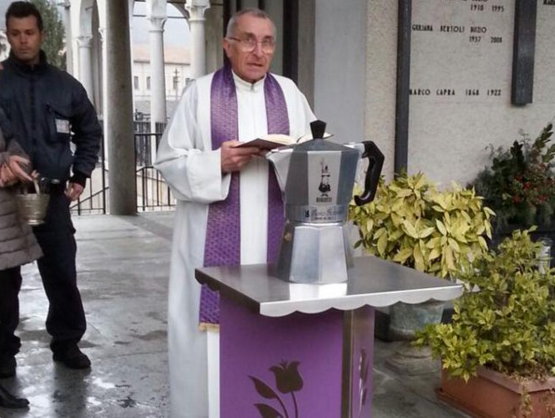 He was buried in a Moka pot. And I think that is awesome.